Are the state or local laws setting up such programs preempted by ERISA? Aare the plans themselves subject to ERISA? 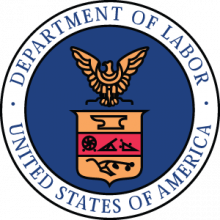 The Department of Labor issued final regulations on August 30, 2016 providing a safe harbor for statewide plans covering private employers. On December 20, 2016, it expanded on those regulations with further regulations providing a safe harbor for plans for private employers operated by local governments. This bulletin discusses how those programs work, and what employers can expect from them. Over the past two decades, there has been a significant shift in the retirement plans provided by private employers. While the traditional retirement plan was a defined benefit plan funded by the employer, the vast majority of employers that sponsor retirement plans now provide 401(k) or other defined contribution plans, many of which provide benefits only or primarily to employees who elect to contribute to them. In addition, most plans that include employer-funded benefits provide that benefits will be lost unless the worker remains with the employer for a particular period of time (typically, five years). The greater mobility of the workforce has led to many employees never receiving the benefit of employer contributions even if their employer makes such contributions. These trends have been of particular concern to state and local governments. To the extent that workers do not have adequate income in retirement, they may use a variety of state and local government programs (e.g., homeless services or Medicaid), imposing a cost on such governments. Several state governments (including California, Connecticut, Illinois, Maryland, and Oregon) have therefore adopted mandatory retirement programs. Other states have expressed an interest in doing so, provided that the legal status of such programs is clarified. Local governments in Seattle, Philadelphia, and New York City have also indicated an interest in establishing such programs. The plan must be established pursuant to a state or applicable local law which requires the employer to participate. A program that permits but does not require employers to participate does not fall under these regulations. However, such a program may still be permissible, so long as it does not provide for automatic employee contributions, under 29 CFR § 2510.3-2(d). That regulations sets forth circumstances under which IRAs funded by payroll deductions would not be treated as ERISA plans. The plan must be implemented and administered by the state or locality. The state or local government must have responsibility for choosing investments (or for selecting investments from which employees can choose). The state or political subdivision must require that employers promptly transmit wage withholdings to the payroll deduction savings program. The state or political subdivision must provide an enforcement mechanism to ensure employer compliance with the above requirement. The state must adopt measures to ensure that employees are notified of their rights under the program, and must create a mechanism for enforcing those rights. It may delegate a wide array of implementation and administrative authority (such as authority for rulemaking, contracting with third-party vendors, and investing) to an agency or instrumentality of the state or locality. It may provide that employee contributions are automatic unless they opt out of the plan. It may provide tax incentives or credits to employers, provided that they are limited to a reasonable approximation of the employer’s costs (or a typical employer’s costs) under the program. It may require only those employers that do not offer some other workplace savings arrangement to participate. It may adopt various consumer protections, such as conditions requiring deposits to be made to IRAs within a maximum number of days, civil and criminal penalties for deposit failures, and education programs for employees regarding how to identify employer misuse of payroll deductions. It will collect payroll deductions and remit them to the program. It may provide notice to the employees and maintain records of the payroll deductions and remittance of payments. It may provide information to the state necessary for the operation of the program. It may distribute program information from the state program to employees. Their contributions must be voluntary. If the plan has automatic contributions, an employee must be given adequate advance notice and have the right to opt out. They must be notified of their rights under the program, including the mechanism for enforcement of those rights. Because the plan must be an IRA, it is subject to the prohibited transaction rules that govern other IRAs. A concern that local governments may not have the expertise to manage such plans. A desire to avoid having overlapping plans (e.g., both state and local laws requiring that employers participate in plans). The political subdivision must have the authority, under state law, whether implicit or explicit, to require employers’ participation in the payroll deduction savings program. The regulations indicate that this will limit the local governments to cities, counties, or similar governmental bodies, rather than, for example, special taxing districts. The political subdivision must have a population equal to or greater than the population of the least populous state. In 2015, Wyoming was the least populated state in the U.S., with a population of 586,107. The political subdivision cannot be within a state that has a statewide retirement savings program for private-sector employees. The political subdivision must maintain a plan for its own employees. While a political subdivision that did not meet these tests could in theory adopt a plan, it would fall outside of the regulatory safe harbor. We can expect state involvement in permitting or requiring employers to participate in retirement plans to increase. President-Elect Trump has indicated that he favors such arrangements. And with the federal government likely cutting back on legislation, regulations, and enforcement in the area of retirement plans, we can expect states to take more initiative in this area. From an employer perspective, this trend presents a number of challenges. For example, it may impose additional administrative burdens on employers to collect and transmit employee contributions, to obtain employee elections either to participate in a plan or to opt out of one, etc. It may also subject employers who operate in more than one geographical area to differing requirements with regard to each of the states (or in some cases, localities) in which they operate. In some instances, it may cause pressure on employers to adopt their own ERISA-covered retirement plans in order to be able to provide a single benefit structure nationwide rather than being subject to a host of differing requirements. It is obviously critical that employers stay abreast of what is happening in this area, so that they can make the best decisions on how to respond.